MEMPHIS, August 7, 2009 – The Memphis Grizzlies received a protected 2010 first round draft pick, along with center Steven Hunter and cash considerations from the Denver Nuggets in exchange for a future conditional second round draft pick, Grizzlies General Manager and Vice President of Basketball Operations Chris Wallace announced today. 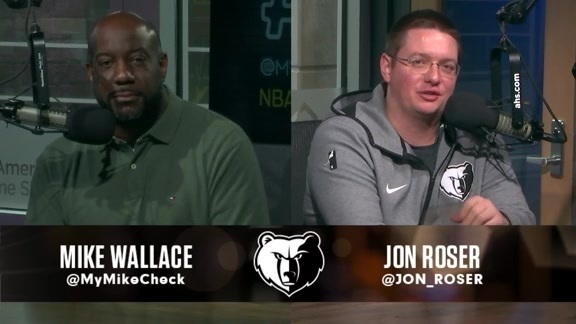 The future protected first round draft pick from Denver could potentially give the Grizzlies three first round selections in next year’s NBA Draft. In addition to its own pick, Memphis is owed the Lakers’ 2010 first round draft pick to complete the Pau Gasol trade with the Los Angeles Lakers on Feb. 1, 2008. "This trade provides us with a probable 2010 first round pick that will bring our total to three first round picks in hand for the next draft,” Wallace said. “We are a team which emphasizes the draft and next year's draft is projected to be strong. This draft pick from Denver provides us with increased options for the future." Hunter, a seven-year NBA veteran, holds career averages of 4.7 points, 3.2 rebounds and 1.0 blocks in 15.4 minutes in 379 games (130 starts) with the Denver Nuggets, Philadelphia 76ers, Phoenix Suns and Orlando Magic. The 7-0, 240-pounder from DePaul sat out the 2008-09 season after undergoing successful arthroscopic surgery on his right knee on Nov. 14, 2008. Originally selected by the Magic with the 15th overall pick in the 2001 NBA Draft, the Maywood, Ill. native was a key reserve on the Phoenix Suns’ franchise record-tying 62-win team in 2004-05, averaging 4.6 points, 3.0 rebounds and a career-best 1.3 blocks in 13.8 minutes in a career-high 76 games (three starts). The 27-year old enjoyed his best statistical season with the Sixers in 2006-07, posting career highs in points (6.4 ppg), rebounds (4.8 rpg), minutes (22.9) and starts (41). The Sixers traded him to the Nuggets along with Bobby Jones in exchange for Reggie Evans and the draft rights to Ricky Sanchez on Sept. 10, 2007. The Grizzlies’ roster now stands at 13 players, including an NBA-high four players (Hunter, Marc Gasol, Hamed Haddadi and Hasheem Thabeet) who are 7-0 or taller. Grizzlies 2009-10 Season Tickets are on sale now and feature all 45 regular season and preseason home games. Grizzlies Season Tickets start at just $5 per game with 6,000 seats available at $10 or less per game. 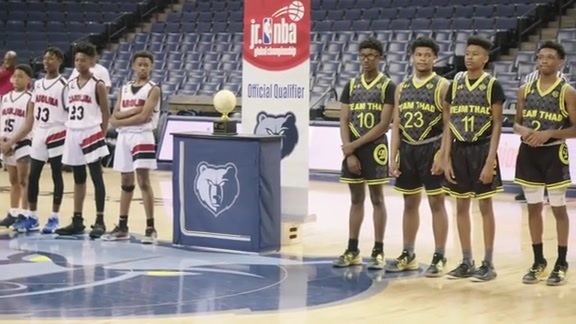 Call (901) 888-HOOP or visit Grizzlies.com. Grizzlies partial packages will go on sale August 15. Preseason individual game tickets go on sale September 26 with regular season single-game tickets available starting Oct. 3.